Being aware that diversity in management teams contributes to business performance and that women still encounter difficulties if they want to move up within their companies, we decided to dedicate a unique management seminar to women and “enlightened” men. The EVE Program works on two levers: the individual and the organization. It aims to shape strong and inspiring individuals in order to bring change in the organization. Costs: 3000€ (excluding VAT, accommodation and transportation). To know more about the Eve Program, please consult « Why Eve » section. 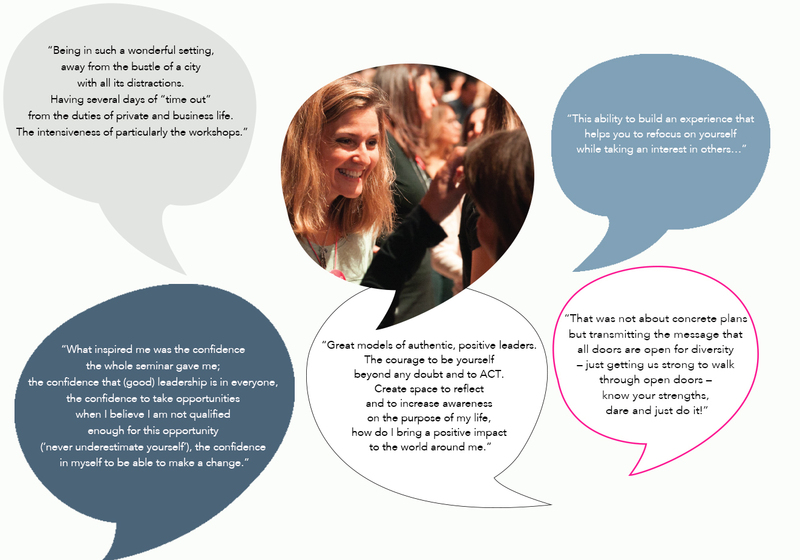 Become a strong and inspiring individual to drive change throughout your company. 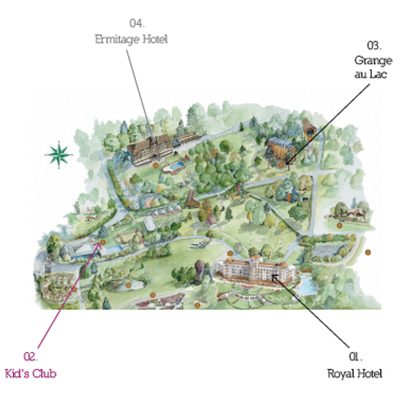 Participants and speakers will be accommodated in the Royal, Ermitage, La Verniaz and Hilton hotels. The Eve team is in charge of booking and assigning you a hotel room together with the partner companies. All the partners share the same vision and have chosen to favour the rising of women in their organization. All of them even have adopted best practices in order to allow women to rise more easily in their companies. Today, more than 50 companies have supported the Program : it is based on companies’ insights and experience of the issue.